The humble sprout. The victim of a senseless contest in Dibley some years back. Love ’em or hate ’em, if you happen to reside in the UK, you’ll be seeing a lot of them before the year is out on the Beeb. That’s because BBC One’s chosen an animated and adventurous Brussels sprout to appear in between this year’s line-up of festive programs. 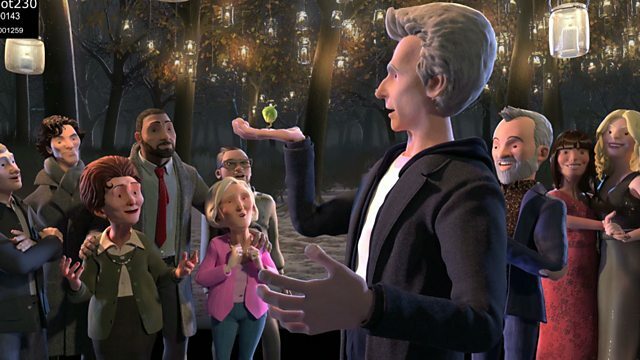 Oscar-nominated directors, Alan Smith and Adam Foulkes of Nexus Productions directed the short animated film Sprout Boy, along with the 2015 Christmas look for BBC One. The film tells the tale of an unloved sprout who finds friendship with BBC One stars, from Doctor Who to Sherlock. Smith and Foulkes discuss the pressure that comes with developing a Christmas ‘look’ for the BBC given the annual focus and attention given to BBC programming around this time. Also, who knew just how important scale was and, especially, that if you animate the sprout too big, there might be some residual payments due to the cabbage industry. 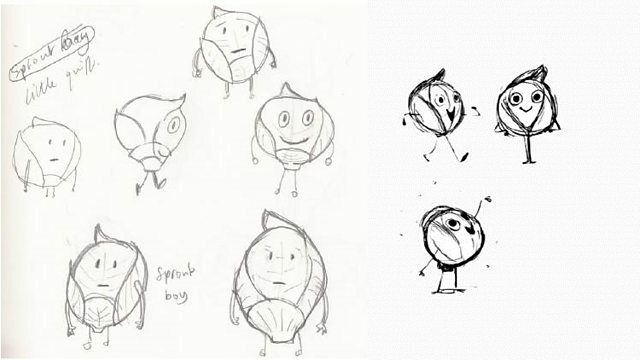 With this year’s ‘Christmas veggie’, viewers will initially see Sprout Boy’s hope, excitement and wonder at the world around him, before it gives way to doubt and confusion. Then, finally, the joy and celebration. It’s a story about the spirit of Christmas itself, according to Sprout Boy’s co-creators.